I think there is a lovely mixture here. I really like Mac and Kiko products. 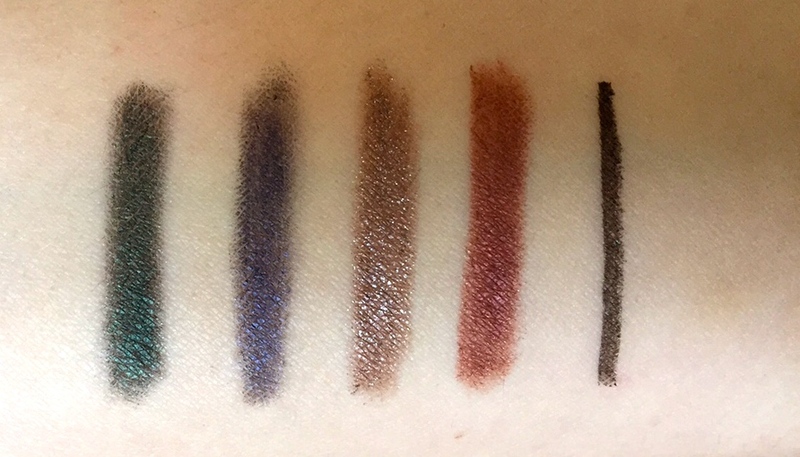 They last really well and are very pigmented. I would really like to try the Charlotte tilbury liners next. Will they be as good? 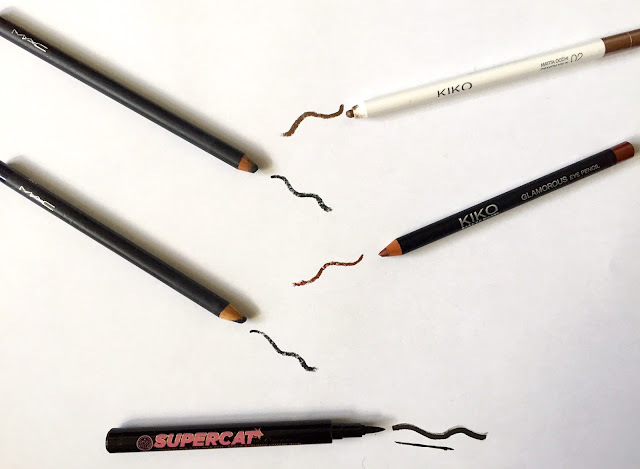 Have you tried any eyeliners that I should give a go? Ooo that Kiko liner is stunning, would be perfect in the summer or at Christmas time! I really like Stila's liquid liner, and Annabelle make great kohl liners in a ton of colors, but I think they're just a Canadian brand!